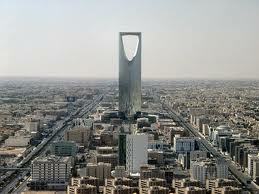 In light of these developments, the fourth annual Kingdom Hotel Expansion Summit began today in Riyadh. The two-day summit – organised by leading French business information company naseba – has gathered up to 300 prominent hoteliers, food and beverage heads, executive chefs, developers, consultants and global hospitality suppliers to discuss trends and assess the future of the industry. The summit is providing an important platform for international hoteliers who are announcing their upcoming projects including Nobu Hospitality, who choose the summit to announce their new luxury hotel in Riyadh constructed in partnership with Dhaliliyah group. “We are thoroughly proud to be bringing our renowed levels of hospitality to Riyadh with Her Royal Highness Princess Nouf, underpinned by the reality that Riyadh is one of the most vibrant commercial and financial centres in the Middle East,” said Trevor Howell, Chief Executive of Nobu Hospitality. The day 1 of the summit featured a panel discussion on complete project management, moderated by Tarek El Sheriff, Managing Director, V Five Continents featuring panelists John Spitz, Vice President, Hill International, and Mustafa Miro, Deputy Development Director, Jabal Omar Development Company. The summit also places a special focus on the Saudi food and beverage market – with discussions revolving around the latest trends in terms of quality and customer service, future trend adoption, and the role of IT in procurement strategies. Aly Noaman Traboulsi, Director of Operations and Development, Al Khozama Banqueting and Conference Centre; Juan Uribe, General Manager, MENA Grand Khalidia Hotel; and Roy Buitenkamp, Director of Food and Beverage, Four Seasons Hotel Riyadh, focused on the change in trends in Saudi Arabia’s food and beverage industry. Speaking on the need of education and management in the hospitality sector, Roy Buitenkamp, Director of Food and Beverage of Four Seasons, highlighted institutes and educational programs in Saudi Arabia specifically for the hospitality sector and how even Four Seasons utilises them to hire and train its employees. The summit continues tomorrow and takes a closer look at the food and beverage industry within Saudi Arabia. Keynotes include Potential of Mid Market Hotels in the Kingdom by Hilton – Saudi Araba; and Loyalty programmes: Valuable USP or a costly must-have? by Christophe Landais, Managing Director, Accor Middle East.